Trinity Mirror Group is rolling out Google's enterprise cloud e-mail and collaboration service to replace a Lotus Notes-based on-premise e-mail system for 6,500 staff. 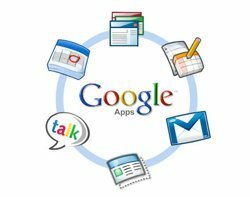 The cloud-based Google Apps for Business will provide communication and collaboration for the media company. The switch follows greater maturity of the Google product, according to Steve Walker, Google Apps product manager at Trinity Mirror. He said it first looked at Google two years ago, and ran an evaluation to move off Lotus Notes. But Trinity Mirror decided to stick with Lotus Notes at the time, upgrading the email platform to version 8.5 and rationalising the configuration. Two years on and Trinity Mirror is taking another look at the options available in the e-mail market. "This year, we assessed the market [again]. IBM proposed we move to Lotus Live, the IBM cloud offering. Microsoft also proposed MS Live," said Walker. But he said Google's subscription-based service makes it more cost-effective than Microsoft and IBM, and "Google has also moved on over the past few years in terms of what it can offer the corporate customer". Trinity Mirror spoke to Google reference customers in the media sector, including The Guardian, Telegraph and News International. He said Google's premium support package and SLAs had improved, although the group may choose to use third-party services companies in the future. Staff will have access to a range of web-based features, including Gmail with integrated Google Talk, Google Calendar, Google Docs and Google Sites. Trinity Mirror employees across 60 locations will be able to work in the same documents in real-time, from any location and from any internet-connected device. Trinity Mirror expects the collaborative features in Google Apps to improve teamwork and empower departments and individuals to set up their own projects without the need to involve IT and without being restricted by technology. This, in turn, will help them become more creative and innovative across the organisation and will allow the IT department to focus on more business-critical and strategic projects.